Gunnar GarforsGarfors on a trip to Machu Picchu in Peru. 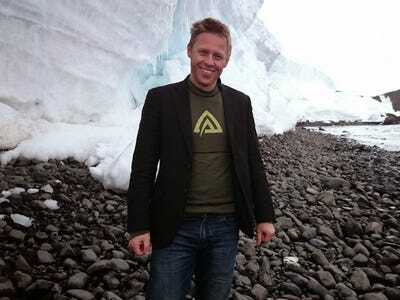 In 2008, Gunnar Garfors had visited 85 countries. It was then that he decided to make it his mission to travel to every single country in the world — 198, to be exact. 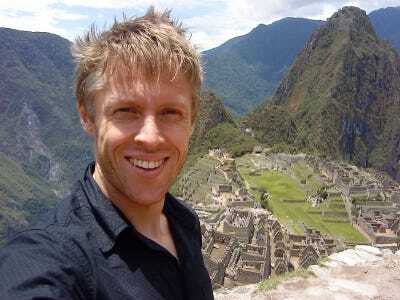 He accomplished his goal on May 8, 2013, earning him the title of the youngest person to travel to every country. He was 37 years old. He has since written a book called “198: How I Ran Out Of Countries,” and created a website dedicated to his travels. 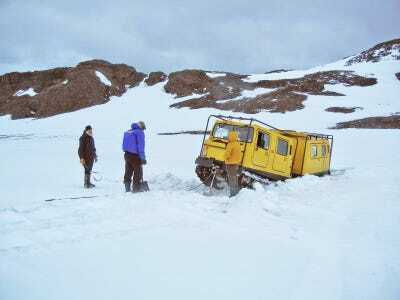 Garfors — who works at the Norwegian Broadcasting Corporation (NRK) — managed to keep his job throughout his travels; he never wanted to quit. 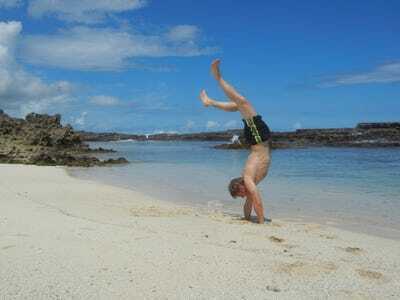 Instead he wanted to combine a job he has always enjoyed with travel, his greatest passion in life. Garfor sent us the best photos from his journey around the world. Crossing the border from Afghanistan back into Iran was anything but easy for Garfors. After waiting outside the Iranian embassy for a considerable amount of time, Garfors had to convince the Iranian ambassador that he was visiting Afghanistan as a tourist and not a spy. 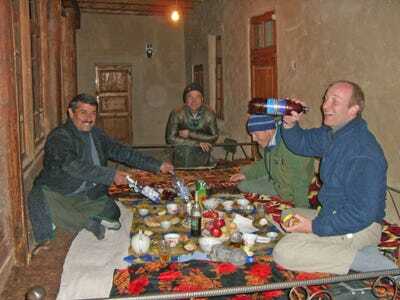 Eventually it worked, and the border police (pictured here) let him back into Iran. 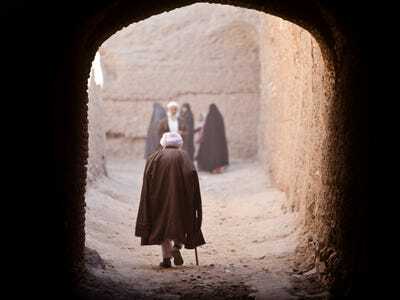 This picture of an old man was taken in Herat, Afghanistan. 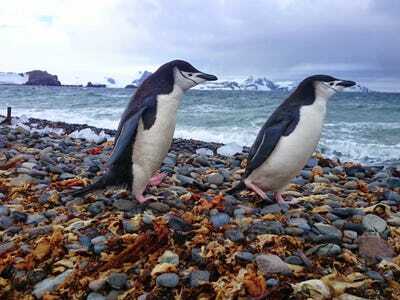 Garfors never travels without a suit jacket, even in Antarctica. He says the inner pockets help him keep his essentials -- passport, phone, and wallet -- safe and with him at all times, and a suit ensures he gets better service in most places. 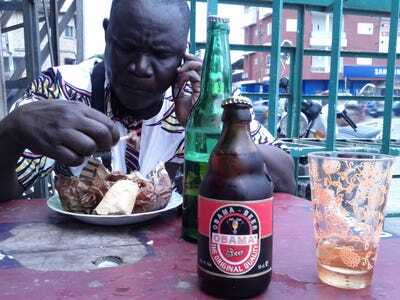 While in Benin, a French-speaking country on Africa's west coast, Garfors tried several types of Obama beer -- none of which he liked -- and sampled some delicious street food. 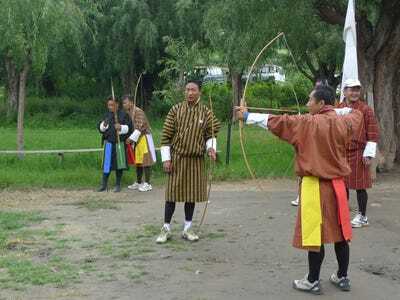 Archery competitions are common among locals in Bhutan. Garfors says the archers shoot at targets over 100 meters away. While in Peru, Garfors visited the ruins of Machu Picchu. 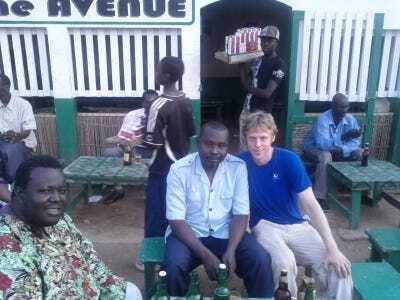 Here Garfors enjoys a beer with a local police officers and cassette-tape salesman in N'Djamena, the capital and largest city in Chad. Garfors received a warm welcome in Punta Cana in the Dominican Republic. While in Congo, Garfors was able to capture this photo of a mother with her seven children. 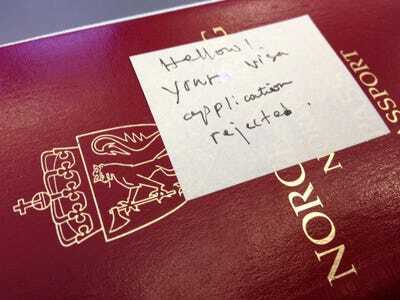 It took a few tries for Garfors to be let in to Eritrea, a country in eastern Africa that is bordered by Sudan and Ethiopia. This was also the first time -- and only time -- that Garfors saw hello spelled with a w.
Here Garfors stands 1,335 meters up on the peak of Mount Klubbviktind, which is near the Skjomen fjord in Norway. Garfors built his own log cabin in the area that he now visits every summer. The cabin has no road access and can be reached only by boat. In the words of Garfors, 'Who needs a flashy car when you can travel?' 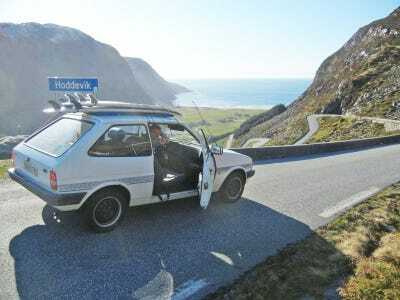 This was taken on the way to one of Norway's best surfing spots. 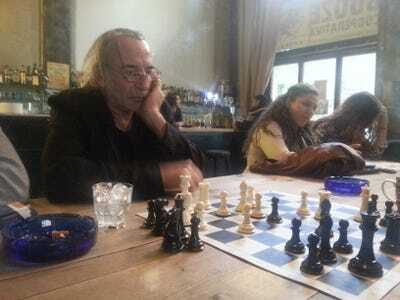 This picture shows a scene that's common in Greece: men playing chess in a coffee shop. Garfors says this onlooker in Kerala, India, was anything but impressed by his boating skills. 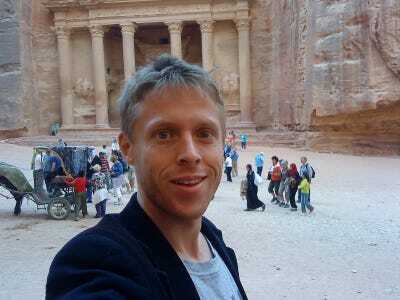 In Jordan, Garfors made it to Petra, a breathtaking archaeological city in the south of the country. 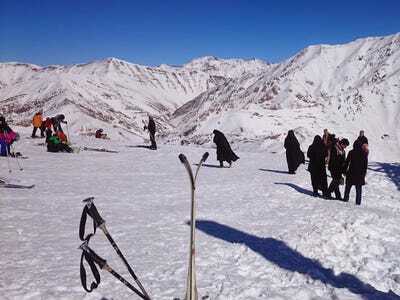 Though Iran is probably the last place you'd think of to go skiing, Garfors says the skiing in the north of the country is a must -- but don't be surprised at the number of fully covered women on the slopes. Neda, a girl Garfors met in Iran, wanted to marry him. He declined but agreed to have their photo taken dressed up as a royal couple. It's not unusual for children in Yemen to start smoking hookah and chewing khat -- a flowering plant native to the Horn of Africa and Arabian Peninsula -- at a very early age. 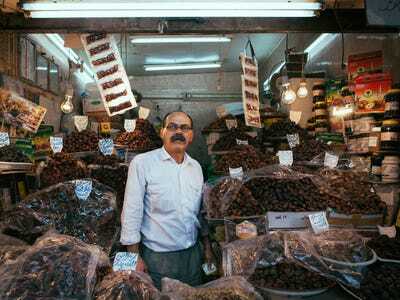 Here Garfors captured a man in Kuwait selling dried fruits and other sweets from a stall by the side of the road. Garfors says Kuwait is 'a country with one of the world's worst cultural combinations: extreme Islam mixed with extreme capitalism.' He says he doesn't want to go back. 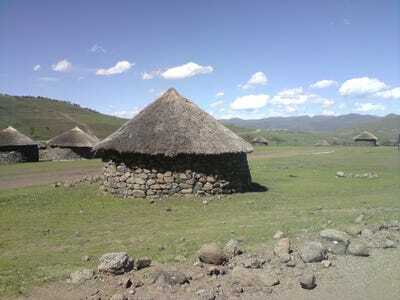 Garfors received yet another marriage proposal while he was in Lesotho. A mother proposed on behalf of her daughter, and if Garfors had accepted, he would have lived in a hut like this with the possibility of becoming the chief of the village. 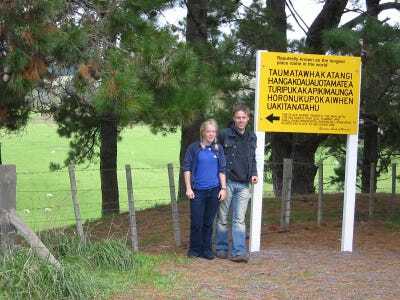 Garfors set a Guinness World Record after visiting five continents in one day in 2012 with travel companion Adrian Butterworth. 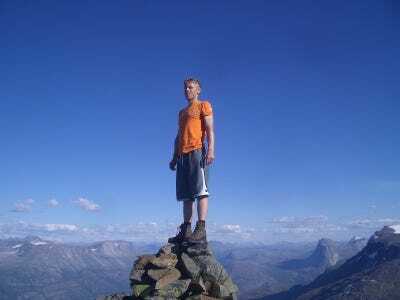 Garfors broke another world record when he visited 19 countries in Europe in under 24 hours. Here he poses with his travel companions. 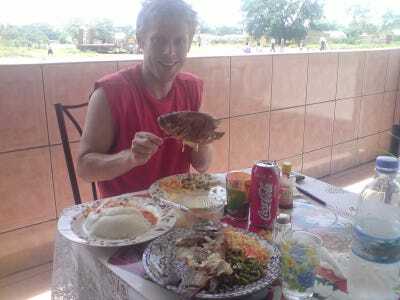 Garfors enjoyed a typical seafood meal while in Zambia. 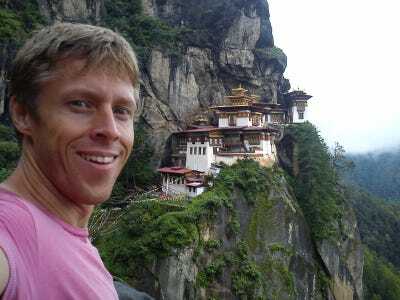 While in Bhutan, Garfors enjoyed great views of the Paro Taktsang, a cliffside Buddhist monastery in the Himalayas. Garfors visited a small school when he was in Somalia. Most children attending the school hadn't seen foreigners before, so they all wanted to touch Garfors to make sure he was real. While in Artush, a tiny mountain village in Tajikistan, located in Central Asia, Garfors stayed at the home of a local teacher. 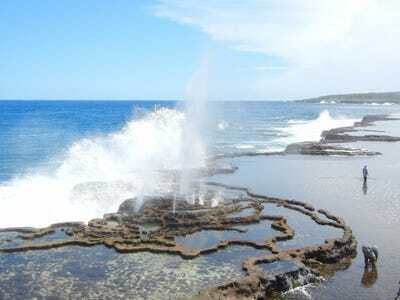 Garfors was lucky enough to be able to see the blowholes in Tonga. 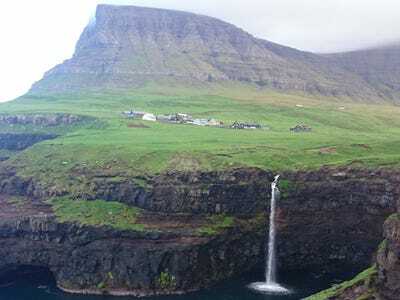 He says the waves push water through small tunnels, creating geyser effects on land. Garfors says that he had most of the beaches he visited in Tonga to himself. 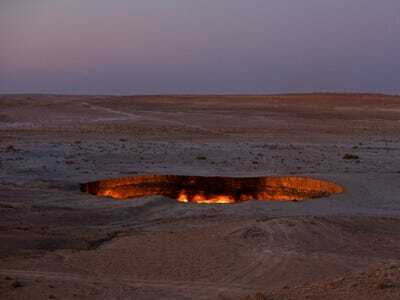 Garfors visited the Door To Hell in the middle of the dessert in Turkmenistan. It's a crater that is 30 meters deep and 70 meters across. Gas has been burning inside the crater since 1971, when a gas-drilling operation there went wrong. The burning fire makes for beautiful lighting. These children in Tuvalu, a Polynesian island between Hawaii and Australia, invited Garfors to go swimming with them. 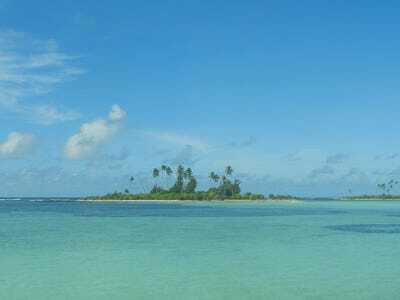 Garfors says Tuvalu will be the first country to disappear if ocean levels continue to increase. 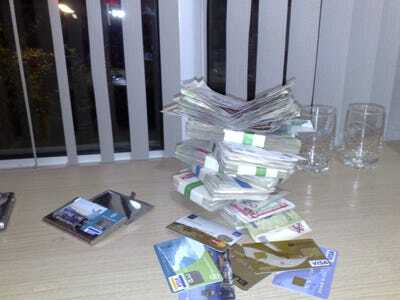 This was Garfors' stash of cash and credit cards he used during his travels through Uzbekistan. 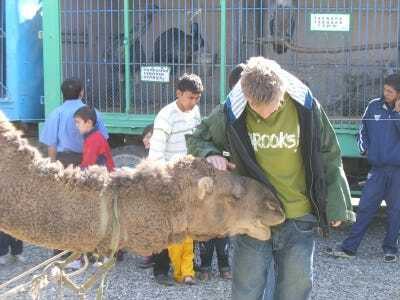 He made friends with a few animals while in Uzbekistan. 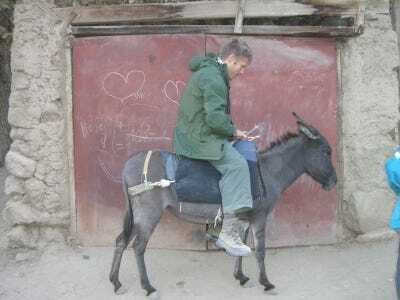 Here, he tries out some local transportation in the country: a donkey. Garfors visited Chile with his girlfriend at the time, who is originally from the country. 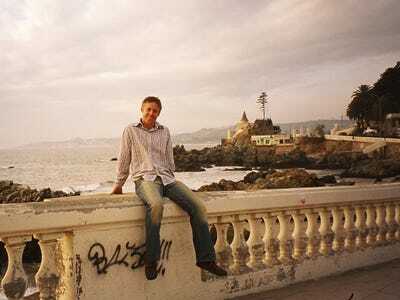 Here he is in Vina del Mar after receiving a royal welcome from his girlfriend's family. A butcher in Vietnam patiently waited as Garfors snapped this photo. 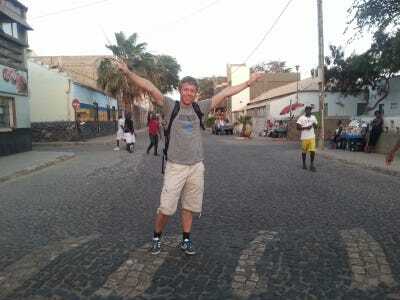 Garfors ended his trip around the world in Cape Verde, a country that sits on an archipelago off the northwest coast of Africa. 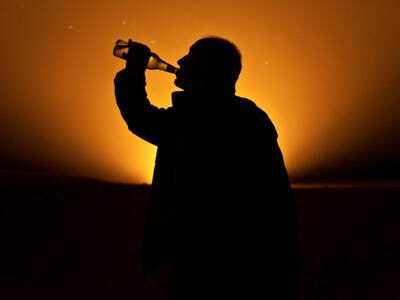 Reaching the final, 198th country on his list called for celebration.